Dan crafted the pictured ring for one of our customers who loved Dan’s fluid diamond solitaire designs, but who wanted more diamonds, more bubbles. 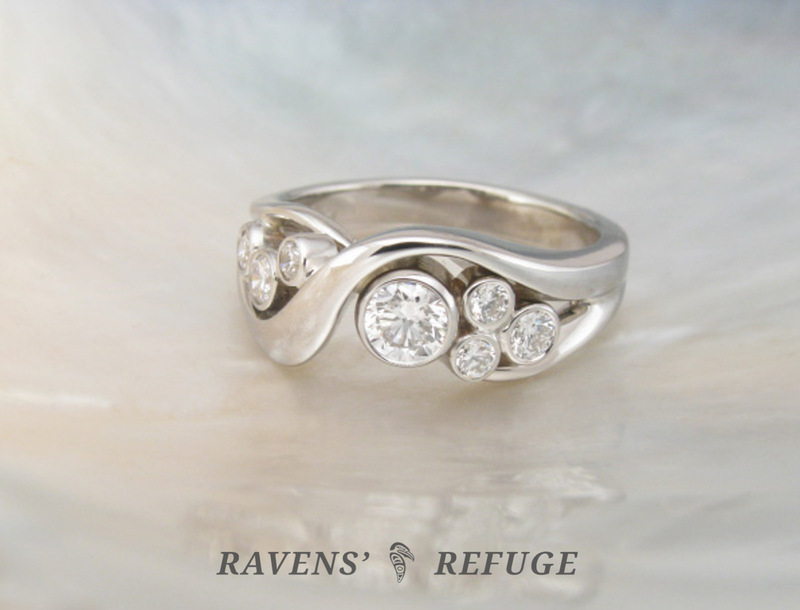 Dan thought about it for a while and then pulled an old ring out of his case — a ring that he made for his grandmother many years ago. 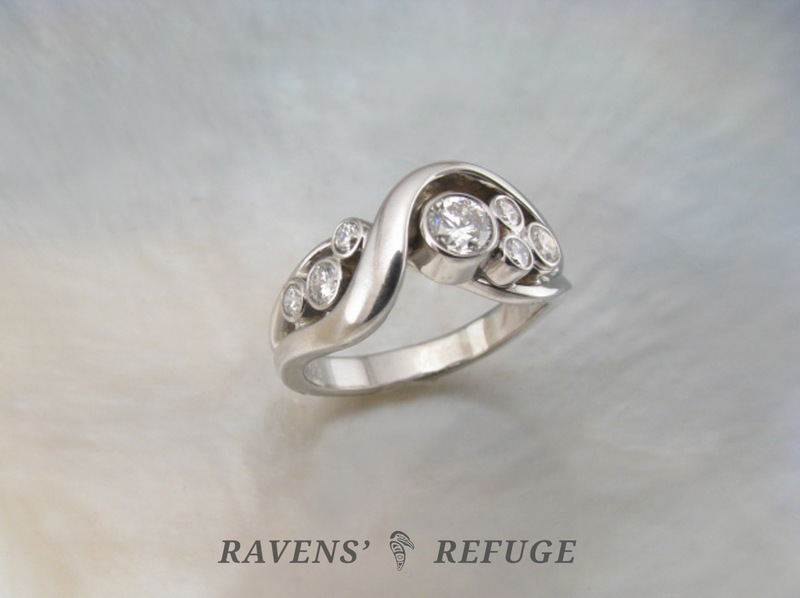 He added some diamonds and tweaked the design, giving it a modern aesthetic with bezel settings instead of prong settings. 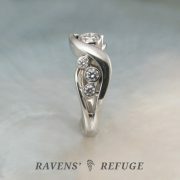 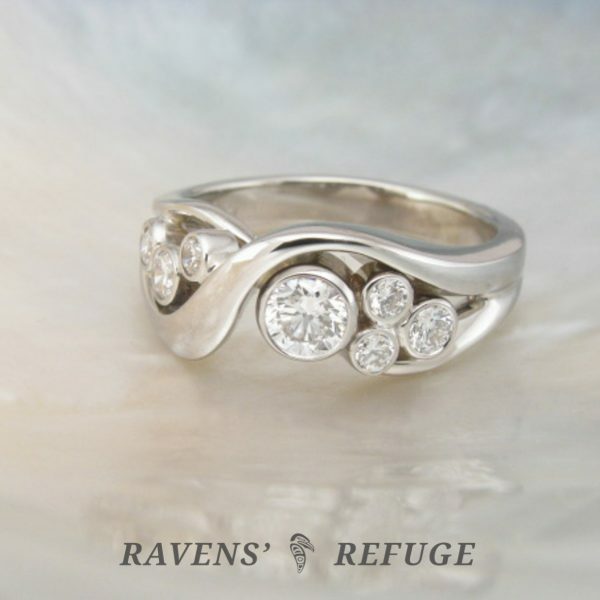 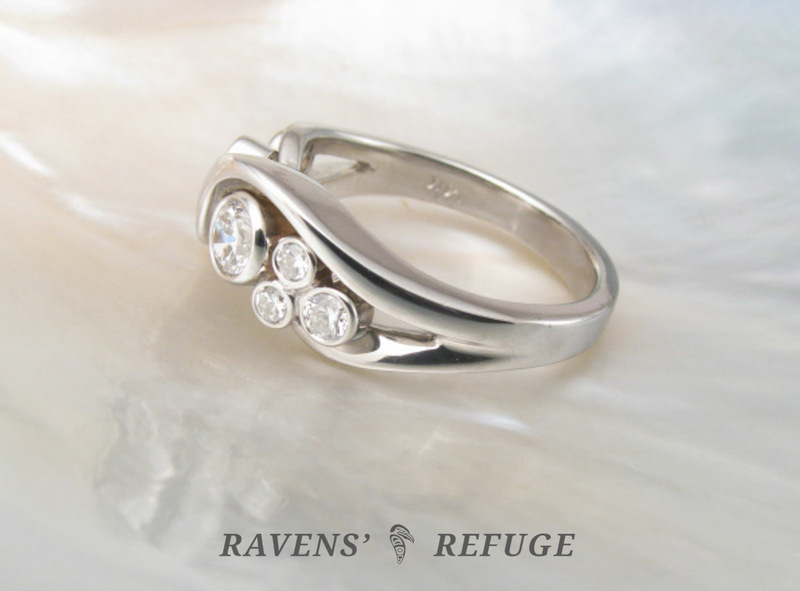 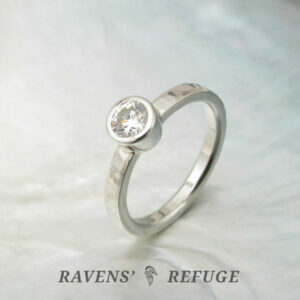 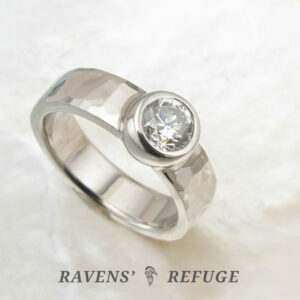 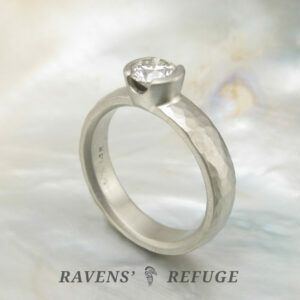 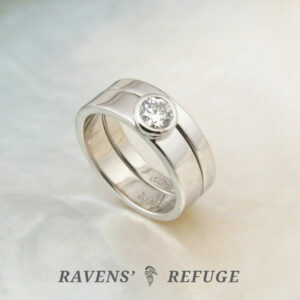 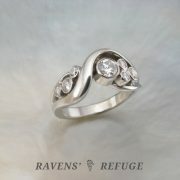 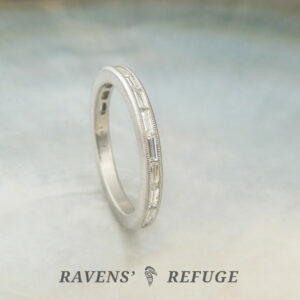 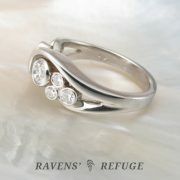 This ring can be customized only with diamonds, sapphires or rubies due to production considerations.